SNAFU! 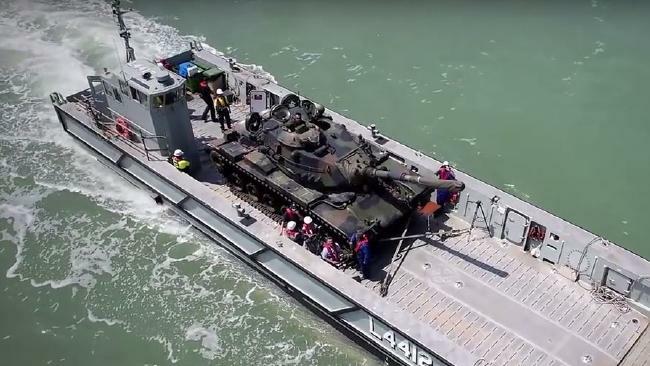 : Navantia's LCM-1E incapable of transporting Australian M1A1 MBTs? Navantia's LCM-1E incapable of transporting Australian M1A1 MBTs? Thanks to Gerard for the link! Just plain wow. The Aussies aren't even operating the heaviest version of the tank and the LCM-1E can't handle it? This is one of those foreign systems that I've been lusting after and hoping that the USN/USMC would adopt. They're trying to make up for the bad news NOT with engineering improvements but thru an ad campaign? Navantia just lost all kinds of cool points with me.